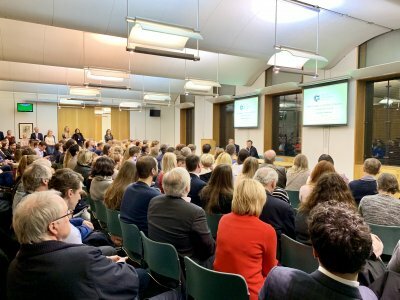 We believe that this Society will become an integral part of Oxford’s academic and cultural life and will contribute to the formation of Ukrainian intellectual elite. 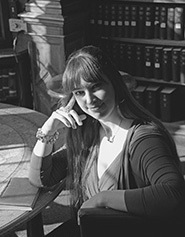 In winter of 2004, two Ukrainian students from Lviv, Eleonora Suhoviy and Roman Zaviyskyy, having met at Oxford, resolved to establish a Ukrainian Society promoting Ukrainian culture and intellectual heritage within Oxford University. We were faced with various difficulties during the lengthy process of drafting our Constitution and registering the Society, yet our efforts were finally greeted with success as we gathered a group of dedicated students passionate about involvement in the Society. 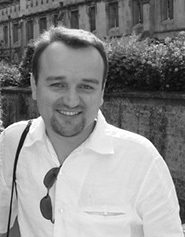 Roman Zaviyskyy graduated from the Lviv Theological Academy (now Ukrainian Catholic University) in 1999 and earned a master’s degree and licentiate at the Catholic University of Leuven (formerly known as Louvain) in Belgium. He then taught theology at UCU and in 2005 started doctoral studies at Oxford. He completed his doctorate in Theology in 2011 and presently is a Professor at the Ukrainian Catholic University. In addition to founding the society Roman was the first President of the OUUS and is a trustee of Ukr-Aid, a charitable organisation. He lives and works in Lviv, together with his wife and son. Eleonora Suhoviy is from L’viv, where she studied at the Specialist Music Boarding school named after Solomia Krushelnytska, before moving to the U.K. to continue her education. Having matriculated at Oxford University, Eleonora became actively engaged with a number of student societies that focused on domestic and foreign policy and debated current social, political and cultural issues. She also won a landmark immigration case which received wide national and international media coverage, and she continues being interested in law. After completing her studies, Eleonora worked for one of the largest public sector organizations, and subsequently moved into the field of education, which has always been one of her main passions. For over a decade she was Principal Consultant and Head of Carfax Consultants at Carfax Education. She is a U.K. represenative of the Professional Government Association of Ukraine.